• ARIZONA: 14 Wildcats finished the 2014-15 school year with GPAs of 3.0 or better, including five who had 3.7 GPAs or higher. • ARIZONA STATE: Senior goalkeeper Chandler Morris initially planned on not returning to the team in 2015 even though she had one season of eligibility remaining. Over the summer, she decided to return for one more year and now juggles being an NCAA Division I soccer player along with being a student and working at a job on the side. • Over 2,500 participants comprised of student-athletes, Sun Devil Staff, members of the marching band, and student groups, joined together to complete 105 service projects totaling 6,836.50 hours served. • UCLA: The team participated in the Dizzy Goal Challenge to support The Global Goals, which fights to end extreme poverty, inequality and climate change. You can watch the video here. • UCLA's freshmen took a trip to the grocery store with the school's sports nutritionist to learn how to shop for healthy foods. • Pac-12 women's soccer heads into the final week of non-conference action with a combined record of 51-21-8. WASHINGTON STATE, at 6-0, is one of only three teams in the country who has yet to be defeated or tied. WASHINGTON lost its first match of the season but is also riding a six-game winning streak like the Cougars. On Pac-12 Los Angeles on Thursday, Sept. 17, UCLA hosts #19 Pepperdine at 7 p.m. PT. At the same time on Thursday, on Pac-12 Washington, the Cougars of Washington State host Gonzaga. On Friday, Sept. 18, at 3:30 p.m. MT, UTAH will host Utah State live on Pac-12 Mountain. At 3:30 p.m. PT on Pac-12 Oregon, OREGON will take on Portland State. • Four Pac-12 teams are ranked in the NSCAA poll this week. STANFORD dropped to the No. 6 spot while CALIFORNIA climbed again to 13th. Arizona State moved up four spots to 18th. Washington climbed back into the rankings and now occupies the No. 25 spot. Washington State, UCLA, ARIZONA, USC and Oregon State also received votes. • WASHINGTON’s Shannon Simon took home Pac-12 Offensive Player of the Week, USC's Kayla Mills was voted Pac-12 Defensive Player of the Week and CALIFORNIA’s Emily Boyd was tabbed Pac-12 Goalkeeper of the Week. • The Pac-12 has two players in the top 10 in the country in points per game. California's Arielle Ship is No. 7 at 2.29 (goals worth two points, assists worth one point) and ASU's Cali Farquharson is 10th at 2.20. • Morris of ASU is tied for the fifth-best goals against average in the country at 0.2. She has played in all 450 minutes of ASU's season thus far and only allowed one goal. • California's Ifeoma Onumonu is tied for eighth in the country in total assists. The senior forward has five assists on the year in Cal's seven matches. • National recognition continues to pour in for athletes from the Conference. ASU's Lucy Lara was named to TopDrawerSoccer's Team of the Week for her three assists in the Sun Devils' 5-0 victory over then-No. 14 Pepperdine. Ship and Washington State's Kourtney Guetlein both earned honorable mention accolades. • Twenty-eight players from around the country have been marked as potential contenders for the 2015 Missouri Athletic Club’s (MAC) Hermann Trophy. The MAC Hermann Trophy is the most prestigious individual award in college soccer presented annually to one male and one female athlete. The Pac-12 has three representatives on the list, Stanford senior Jane Campbell, Stanford sophomore Andi Sullivan, the 2014 Pac-12 Freshman of the Year and UCLA senior Taylor Smith. • For the fourth straight year, the countdown of Pac-12 Networks’ 850 live event telecasts will begin on the pitch with a 69-game women’s soccer schedule that also features 24 non-conference matchups. Of the 24 non-conference televised games, 12 matchups pit Pac-12 teams against 2014 NCAA Tournament qualifiers. Each Pac-12 team will appear on the Networks at least six times (home or away) in 2015. 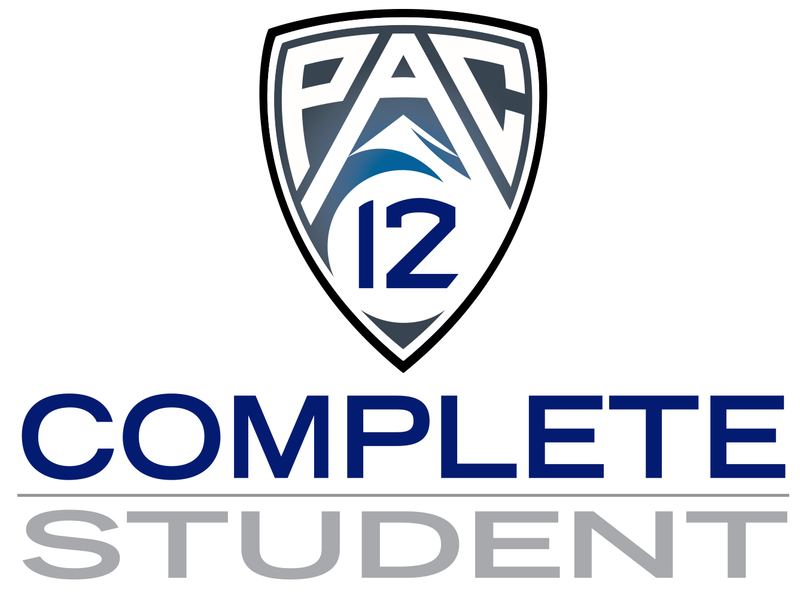 PAC12/PACAZ/PACBA/PACLA/PACMT/PACOR/PACWA - Indicates live broadcast on Pac-12 Networks. Offensive: Gabi Stoian, ARIZ; Lucy Lara, ASU; Arielle Ship, CAL; Marissa Everett, ORE; Helene Haavik, OSU; Haley Rosen, STAN; Lauren Kaskie, UCLA; Shannon Simon, WASH; Kourtney Guetlein, WSU. Defensive: Sheaffer Skadsen, ARIZ; Samantha Witteman, CALI; Madison Krauser, COLO; Kelsey Foo, ORE; Helene Haavik, OSU; Laura Liedle, STAN; McKenzie Karas, WASH.
Goalkeeper: Rachel Estopare, ARIZ; Kate Scheele. COLO; Halla Hinriksdottir, ORE; Bella Geist, OSU; Jane Campbell, STAN; Cassie Sternbach, UCLA; Sammy Jo Prudhomme, USC; Megan Kufeld, WASH.